It's time we got our lives in order. We have spent too much time going through life not thinking twice about which ice creams we love and which we loathe (or just like a little less). First world problems are still problems, and we're sorting this one out once and for all. 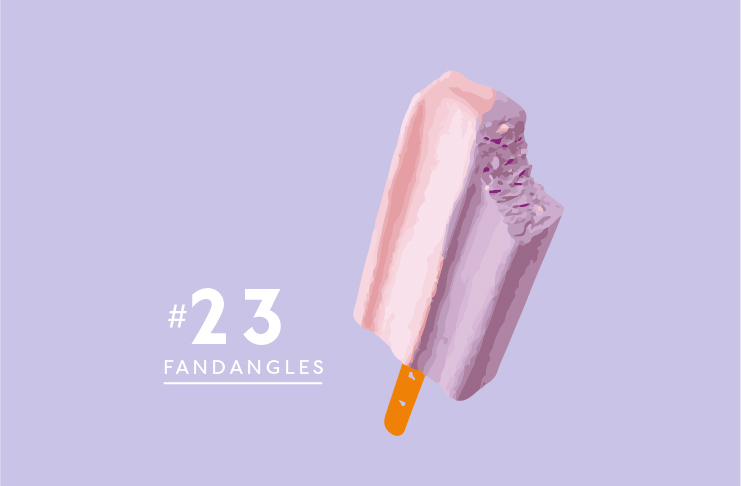 Here's how we rank all the ice cream worth ranking...can you guess what number one is? You might as well just go and eat worms Neapolitan because nobody loves you. It's a brutal world out there for an ice cream. Even though you've been there for us through thick and thin, Peters Original, you're just not our fave. We still love you though! Who would have thought ice cream and icy poles would make such delicious babies? Splits, you ain't a Gaytime, but you're still a good'n. Hands up if this was your go-to ice cream when you were growing up? There was just something about eating ice cream with a wooden pop stick that really amplified the experience. Splits' better and more delicious big sister, Splice offers more proof that the unlikely combo of an icy pole and ice cream is a winner. Mars bar in ice cream form? Heck yes! TBH we're quite surprised this isn't closer to number one. OMG party cake! It's like a unicorn cried on a cake and it turned into bright, colourful ice cream. Anyone else think this should be number one? Choc Wedge, you are trying so desperately hard to be a Magnum, but falling oh so short. If there were no Magnum's left in the world we'd still eat you though. See Mars Ice Cream Bars above. What's not to love about chocolate ice cream swirled with gooey marshmallow and caramel filled with fudge fish? The best tasting fish are made of fudge, after all. 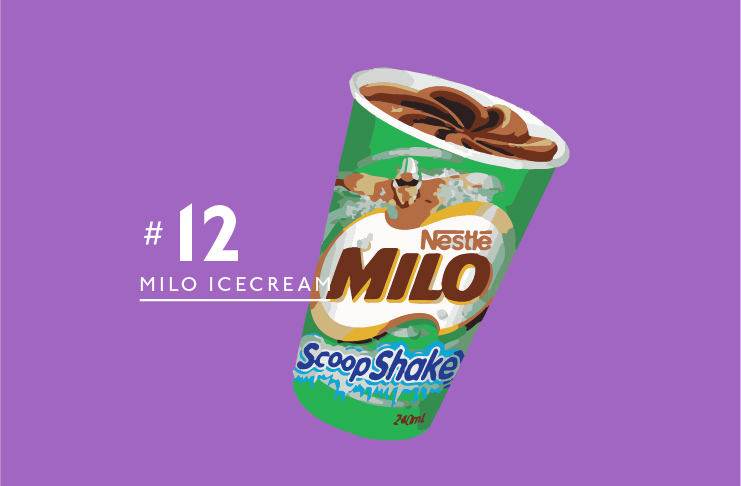 The next step up from lacing your Peters Original with the chocolate powdery stuff, Milo ice cream is the stuff of our childhood dreams. 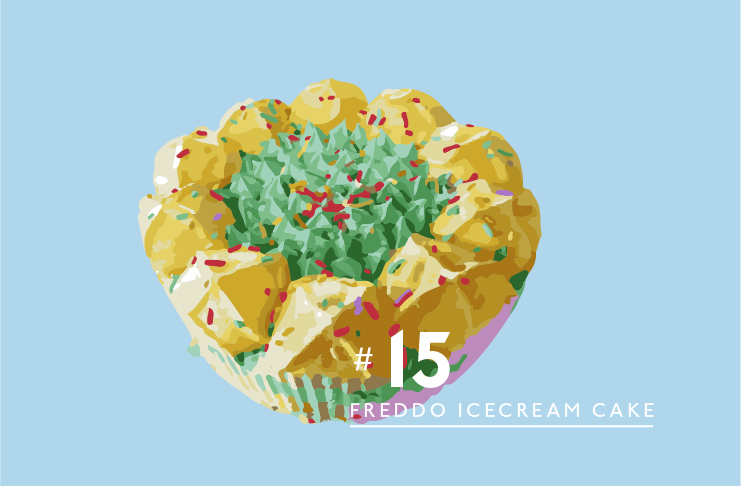 Vienetta has stood the test of time, and it's no surprise because it's the grown-ups version of the Freddo Party Cake. Peters, can you PLEASE bring back the mint flavour? At $2 a pop, Cornettos are pretty bloody great. Not as good as a Drumstick, though. Just sayin'. Bubble O'Bill, will you and your rock solid bubblegum nose marry me? Even though I don't really love the taste of you, you're just so much fun! THE BEST of the Connoisseur range (IMO) Connoisseur Cookies and Cream is about as close as you can get to the stuff they serve at your local creamery. Does anyone else remember when the 'bread' portion of a Giant Sandwich was made with chocolate, instead of the unidentified biscuit it's made with now? Either way, we still love you Giant Sandwich. 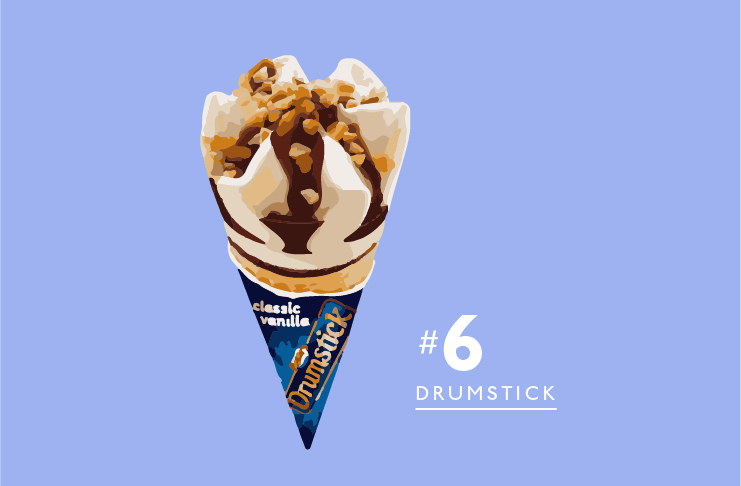 The best bit of the Drumstick is undoubtedly the chocolate-filled cone tip. The rest is just an obstacle. Ben & Jezza's Half Baked is the best of both worlds. Chocolate AND vanilla ice cream. Fudge brownie bits AND choc chip cookie dough. YES! Similar to the Giant Sandwich, the eastern states crew love their Maxibons. Did you know these were once known as Cream Betweens? Sounds dirty. Whether it's chocolate, rainbow or banana flavoured, if you've got a Paddle Pop in your hand, life is good. And it's even better if the pop stick promo is running and you win another Paddle Pop! Magnums make life worth living, and that's all I have to say about that. 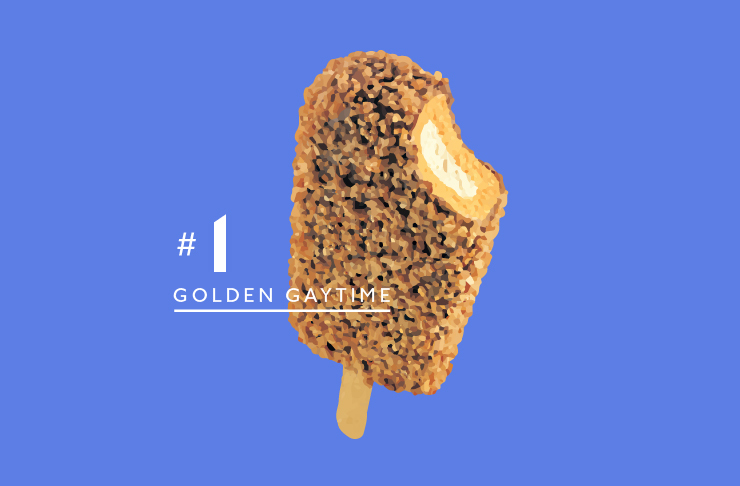 I could write an essay on how amazing the Golden Gaytime is, but I don't have to because you already know how f*cking amazing they are. And with that, I’ll finish with a quote from Streets, "It's hard to have a Gaytime on your own!"